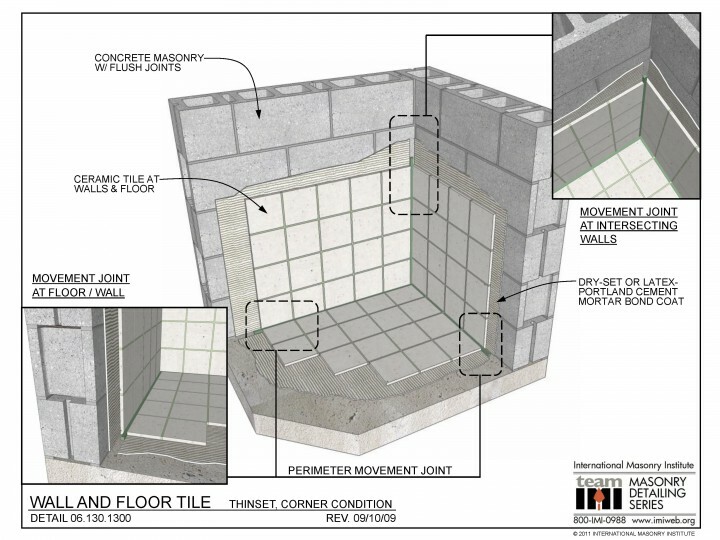 This detail shows tile floor and walls laid using a thin-set method. 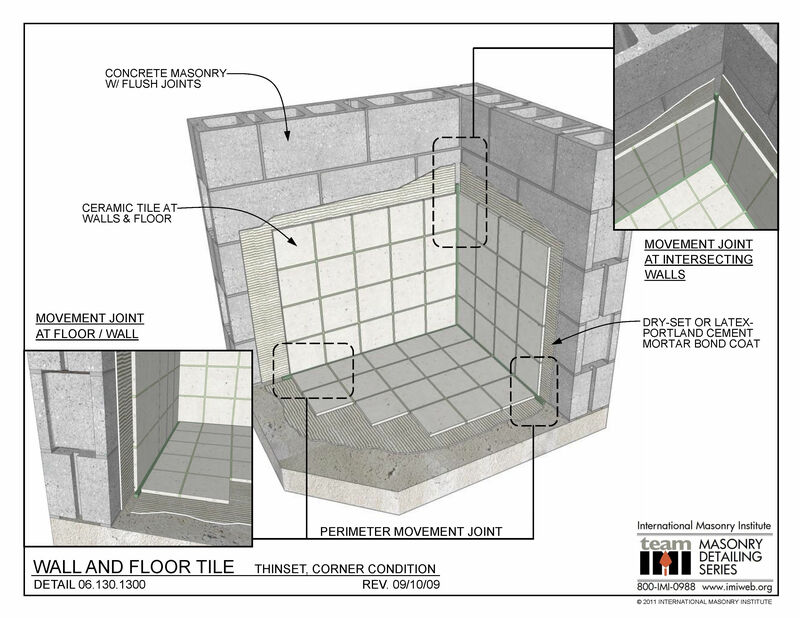 The tile is adhered to the substrate using a dry-set or latex-modified portland cement mortar bond coat. Expansion joints are provided at every change in plane, i.e. wall-to-wall and wall-to-floor. This detail is based on TCNA Method EJ171.